Xiaomi made it big in India by selling high-spec handsets online at bargain prices. The company became the top smartphone vendor in India in Q3 2017, leaving behind its Korean rival Samsung which held the spot for over five consecutive years. 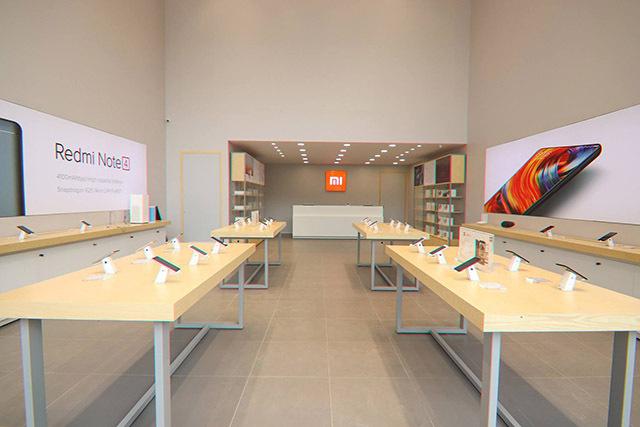 But in order to improve its lead against Samsung, Xiaomi is now aggressively investing in the offline space by opening Mi Home Stores and preferred partner stores. Whereas Samsung is betting big on online sales and has taken the Xiaomi route to offer online-exclusive phones in the country. In a recent interview with Reuters, Xiaomi India’s Managing Director Manu Kumar Jain revealed the company’s strategy to capture the offline market in the country. “If you look at 2017 and 2018 combined, the biggest change in our strategy is our focus on offline,” Jain told Reuters. The company opened its first Mi Home store in the country in May last year and now operates 17 such stores across the country. Jain revealed that the company is running ahead of schedule on its plans to open 100 Mi Home stores by mid-2019. While its online sales account for around 70 percent of local revenue, Xiaomi plans to widen its user base by strengthening its network beyond online. So far, the company has relied on an online flash sales model in partnership with Flipkart and Amazon to gain traction in the country. Now, with the focus on offline sales, the company plans to add more preferred partner stores to the benefit of prospective buyers who are skeptical of online purchases. Jain also revealed that the company will launch six to eight smartphones across different price ranges in 2018. “We want to improve on whatever we launched in 2017 and also launch and plug whatever we think are the big use cases where we are not present,” he said. The company also plans to launch at least one or two new smart products in 2018, adding on to its current portfolio of air purifiers and fitness bands. Globally, Xiaomi is working on its upcoming IPO for which it has reportedly hired Goldman Sachs and Morgan Stanley. The company is expected to be valued over $100 billion, making it the biggest tech IPO globally since Chinese internet giant Alibaba listed on the NYSE back in 2014.